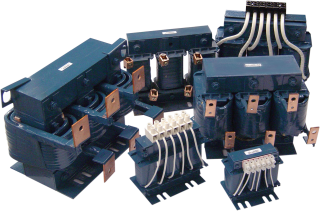 Our RLW Line/Load Reactors are a state-of–the-art solution for absorbing everyday power line disturbances that can damage or shut down variable frequency drives (VFDs) and other sensitive equipment. They work on both the line side and load side to give you an economical way to reduce nuisance tripping, reduce harmonic distortion and minimize long lead effects. Their epoxy impregnated design also reduces audible noise, and improves structural and moisture integrity. Should I use an RL or an RLW Reactor? Put an end to power spike issues and minimize downtime with our RLW Line/Load Reactors from MTE.